· Soak 3 dried shiitake mushrooms in hot water for 20 mins. Remove stems & cut the caps into ½ cm pieces. · Heat wok over high heat and add half the oil. · Fry spring onion and garlic for 30 secs & add mushroom, carrot, bamboo shoot & fry for 1 min. · Add chicken thigh, peas, prawns, season with a little salt. · Toss until the vegetable are softened & prawns barely cooked. Remove from wok & set aside. · Return wok to the heat & add remaining oil. · Add the egg & stir vigorously to break it apart. 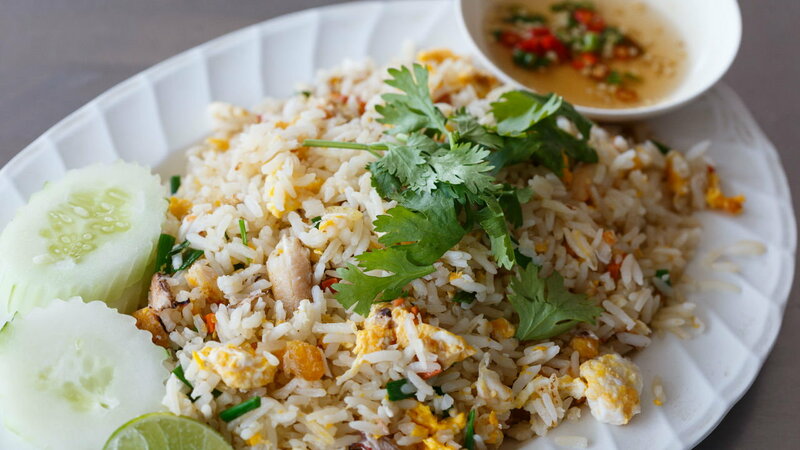 · When egg is nearly set, add the rice & toss well to coat with the pieces of egg. · Season generously with salt. Return the fried ingredients back to the wok and toss to mix well.